Lawn Land Artificial Grass are the Home of Luxury Artificial Grass in Warrington and surrounding areas. We are a family run business with family values, our main objective is to provide a quality service that compliments our quality products. We offer supply only or Full Professional Installations with all aspects of Landscaping. You are in good hands with the Lawn Land Installation Team with over 6 years experience using tested and proven methods of installation to leave you with the most perfect design, build and most importantly a garden to last you for years to come. We also offer a fantastic after care package that will keep your lawn looking fabulous and pro long the life span of your lawn for many more years. Our artificial grass products have been created to specifically blend and harmonize with the natural environment and to enhance to the appearance of your garden. They provide consistency by always looking natural and healthy no matter what time of year it is, in any climate. 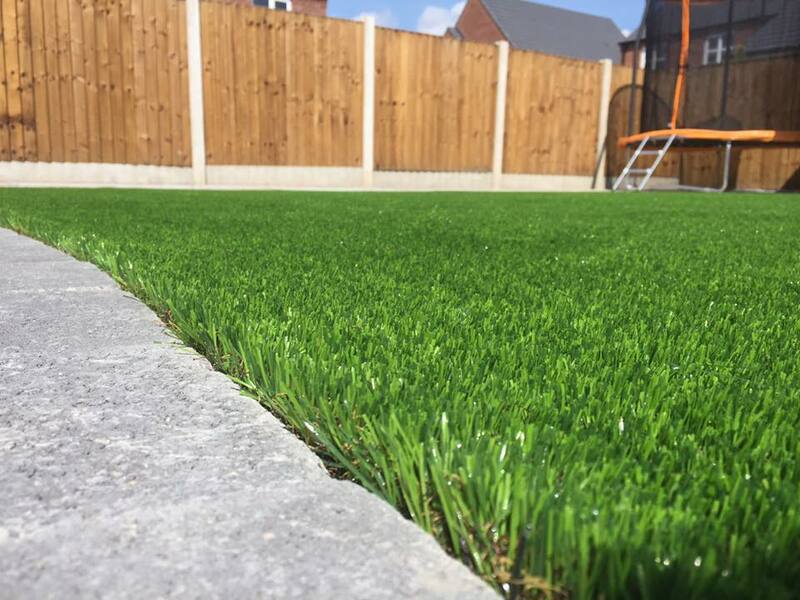 At Lawn Land Artificial Grass we offer a free, no obligation visit in order to discuss your requirements and recommend the best sport, play or landscape surface for your conditions. Our artificial lawn is the finest quality product with 8 Years Manufacturing Warranty.